Your skin starts showing the first signs of aging in your late 20’s to early 30’s. Loss of elasticity, dulling, changes in pigmentation, wrinkles, broken blood vessels, larger pores, and irregular texture are common complaints that I see in my practice and I don’t know one person who doesn’t desire an easy, effective, low cost way to keep aging skin looking more youthful. 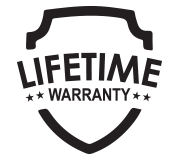 In the last 20 years or so, non-invasive technology has been developing at light speed and has been trending towards better, more natural results, less downtime, less discomfort, and better price points. All of these improvements have now made taking care of aging skin more available and appealing to the masses. Additionally, home devices like the Torche are making sharp gains in efficacy, which is closing the gap between self-care and in-office therapies, and at the very least, allowing for better results when combining the two. The Torche is leading this wave of development because it is both safe and effective for a wide variety of skin problems. 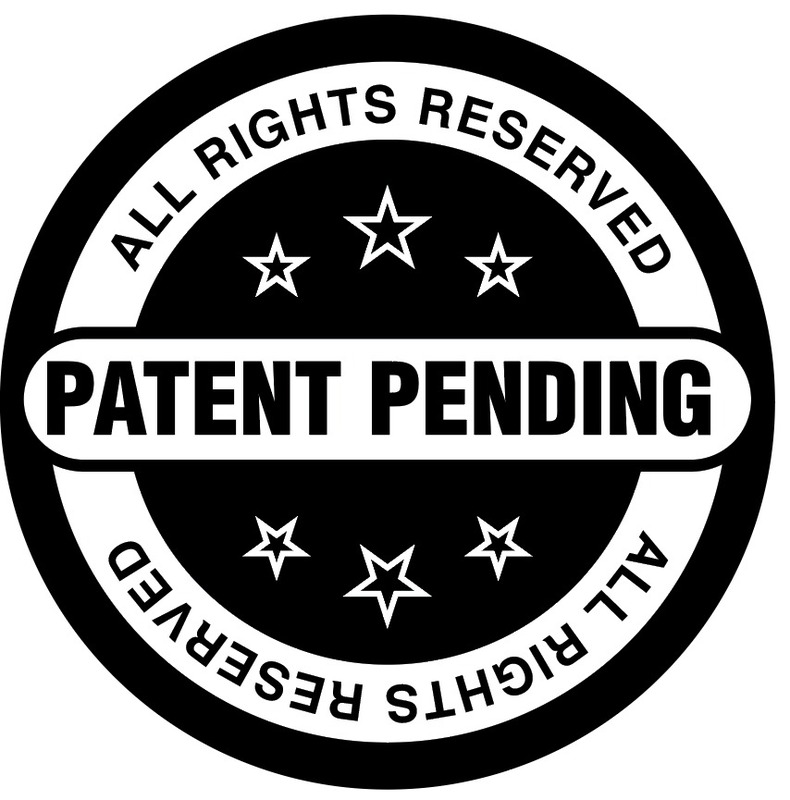 Additionally, because light therapies have been around for over 200 years, their use in the healthcare field has been extensively researched for safety and efficacy and include studies by NASA and NIH as well as from individual scientists and companies developing the technologies. When we look at aging skin we see that loss and fragmentation of collagen fibers and degeneration of elastin fibers are the most publicized culprits of aging skin. Lesser known is the damage done to the matrix that fills in between the collagen/elastin webs, and the diminishment of the circulation both lymphatics and blood vessels whose contribution to the entire health of the skin organ is of equal if not greater consequence. The skin is composed of three major layers. From outermost to innermost they are: the epidermis, the dermis and the hypodermis. The epidermis is composed mostly of keratin containing cells that make our skin waterproof. Collagen and elastin are proteins that are weaved together in the dermis forming a strong web of support within a matrix that also envelopes, blood vessels, nerves, hair follicle shafts, and glands. Fat, nerves, and blood vessels make up the hypodermis. While all of these layers contribute to the overall health and function of the skin, technology that focuses on the middle layer (the dermis) is bound to have the greatest impact on the overall aging of the skin. Therapies that focus on improving ALL of the components in the dermis, will have the most natural, most effective and most long standing results. So what technology can actually do that? The TORCHE by Jelessi. I think the first question most people ask when I suggest using light therapy to address their skin care concerns is; How will shining a light on me do anything? The skepticism gets even worse when they find out that Light Therapy doesn’t hurt or cause any redness, swelling, or scabbing. After so many years of enduring the discomfort and downtime of peels, hot lasers, injections, and weeks of downtime from surgeries, it is no wonder that the skepticism exists. Thank goodness that I am an even bigger skeptic than my clients, so any advice or treatment plan that I endorse, comes with extensive research, and almost always, self-experimentation. When I first received the Torche device, I only used it on the right side of my face and took no other special care of my skin for 6 weeks which is the protocol I use for any facial or body treatment that I am investigating. This gives me a clear and objective view of the actual change that occurs. Almost immediately I was noticing a difference in my skin. At first it just looked refreshed. Then within a week I started noticing a visible difference in the overall tone and tightness of the skin along with a clarity and luminosity. Within three weeks, there was a distinct difference in the tightness of the skin and the fine wrinkles were softer. By the end of the six weeks, my face looked like I had turned back the clock to my 30’s. My cheek was more defined and the trouble spot on my jawline was no longer apparent. Clients knew I was testing something and were begging to be let in on my secret experimentation. Low-level laser/light therapies have not escaped my notice and I have always had them in my NYC practice since its beginning 18 years ago. Here is what I tell my patients: Low-level Laser/Light Therapies work, they work well, and this is why. Low-level laser/light therapy (LLLT)/Photobiomodulation (PBM) is the use of photons (the fundamental particles of visible light) at a low heat level to alter biological activity. Research has shown that when certain types of light shine on the body, it affects the cells that absorb it. For example, we know that shining UV (ultraviolet light or the light from the sun) on our skin effects the cells in our skin. Unfortunately, this is the type of light that causes damage to occur to our cells. Unlike UV light, the light used in LLLT/PBM are safe and have a positive impact on the health of your skin. Anti-aging light therapies use two types of light. One is “coherent” light, commonly known as a laser or “Non coherent” light, like LED light and sometimes they are a combination of both. How is LLLT/PBM different from other laser or light therapies and why should I use the Torche? The most common non-LLLT (Low-level Laser) therapies are resurfacing lasers that burn off the top layer of the skin (ablative) or IPL “lasers” (non-ablative) that use controlled damage to the skin to initiate secondary repair. Traumatic skin rejuvenation procedures leave patients with inflammation, pain, and downtime that in general is undesirable, while LLLT/PBM therapies such as the Torche device are without any of those negative risks. And actually, LLLT/PBM (Lower Level Laser ) therapy has been successfully used to lessen those negative consequences in those undergoing tissue damaging treatments. One other consideration is that the Torche device therapies are generally safe to use on a wide variety of skin types thus expanding the rejuvenation options for those with more skin pigmentation than would be safe with the tissue damaging light therapies. What does the Torche do? Simply put, the Torche device shines light on your cells and that stimulates the cells. The change in cell activity creates a change in your biology. Now, before that starts sounding scary, let me explain how this is both desirable as well as safe. First, all of our cells in the skin have a job to do. One example is the fibroblast. The fibroblast is a cell that makes collagen. As I described before, collagen is a protein that makes a web of support for the skin. 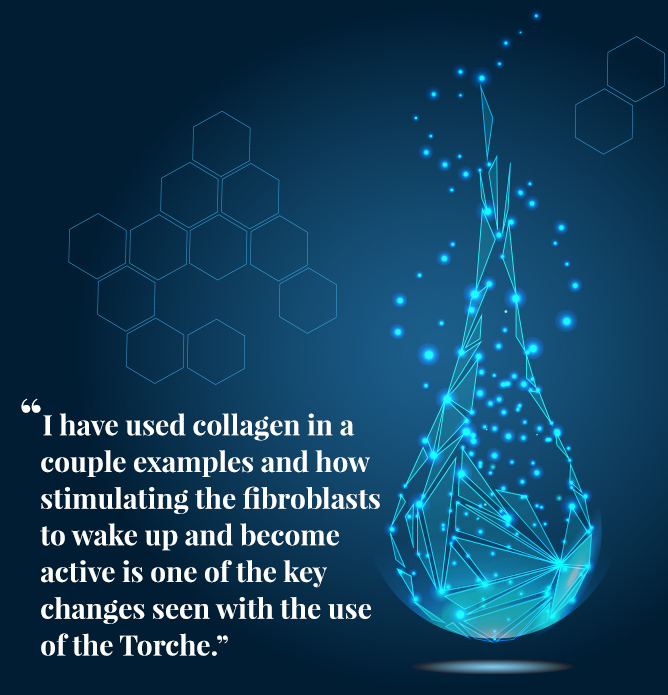 As the skin ages, that web becomes weaker because we produce less What the Torche does is “wake up” our fibroblasts, resulting in production of more collagen, thus strengthening that web supporting the dermis. That is one example of turning a cell on. How does the Torche and Low-level Laser Therapy work? LLLT/PBM technologies emit a certain wavelength of light (red/blue/green/amber) at a certain intensity (low). 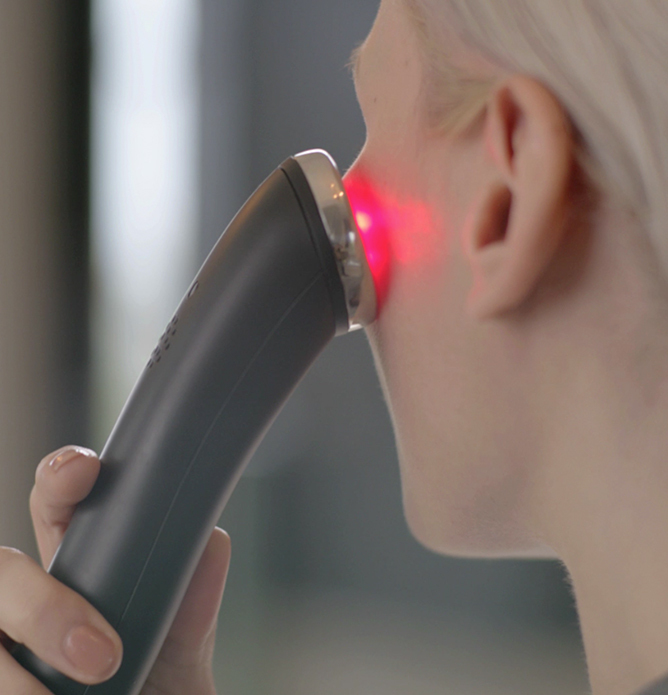 With the Torche, you will receive red light therapy that is delivered to the skin. There is no sensation with the delivery of this light and the light can be concentrated or more diffused depending on the technology. That light penetrates the epidermis and reaches about 10 mm deep (about 3/8 inch). The cells in that area have light absorbing cells called chromophores and they absorb the light. Once absorbed, it is like turning the key in the ignition, the engine starts up and the cell is turned on. The turned on cell will then start doing its job where before it was sleeping or inactive. So in the example above, turn on a fibroblast and your body will start making collagen. What are the biological changes associated with LLLT/PBM therapies and how will the Torche help my skin? If we revisit the components of the dermis that deteriorate as we age, we can see where it would be helpful to effect a change with the Torche anti-aging therapies. 2. Improves Elastin production: The good news about turning on fibroblasts is that they also make elastin proteins that sit in the dermis. Producing healthy elastin to replace the degenerating elastin makes the skin more elastic and helps create a stronger web of support for the skin in conjunction with the collagen proteins. 3. Stabilizes the Extracellular Matrix: Another important component of the dermis is the matrix that sits between and around the collagen/elastin web. The extracellular matrix plays a crucial role in the health and appearance of the skin. I like to think of the matrix as being similar to the broth of a soup. If it is bland, to thin, or too thick, you really do not have a good soup. The matrix gives the collagen, elastin, support. It also provides a healthy environment for immune proteins, enzymes that cells need to function, and space for all this action to go on. LLLT/PBM therapies actually prevent the degradation of this matrix by suppressing the action of enzymes that prematurely break it down and stimulates the enzymes that help build it up. 4. Rejuvenates microcirculation: The very smallest blood vessels in our skin are crucial to getting oxygen and nutrients to regenerate skin cells. Unfortunately, as we age these vessels close up and shrink. LLLT/PBM and the Torche therapies promote the growth of new microcirculation, essentially reversing the degeneration caused by aging and environmental exposure. Who needs an oxygen facial when you are pumping oxygen efficiently from inside? 5. Enhances the lymphatic system: When the lymphatics are sluggish, the garbage that your cells generate become toxic to your skin cells breaking them down prematurely. Robust lymphatics swiftly remove that garbage giving your cells a clean, healthy fluid to thrive in. Preservation of your existing skin cells is as important as regenerating new ones. LLLT/PBM therapies enhance the functioning of the lymphatic system. 6. Accelerates wound healing: LLLT/PBM in the Torche therapies have been shown to stimulate the immune response when damage to the skin cells is present. It does this through the increased production of multiple enzymes and inflammation and immunity proteins that all contribute to ordered and swift healing. This has been found both for intentional damage to the skin as with therapies that use primary damage to stimulate repair as well as with diseases that damage the skin like psoriasis or acne. Why the Torche is the perfect at home therapy for you? When I started my practice in NYC 18 years ago, there were very few options available for non-invasive anti-aging skin enhancing treatments. So much has changed in that time, and now there are many options both at home, and in the office to use LLLT/PBM technologies to enhance the health of your skin and take advantage of the healing nature of light therapy. 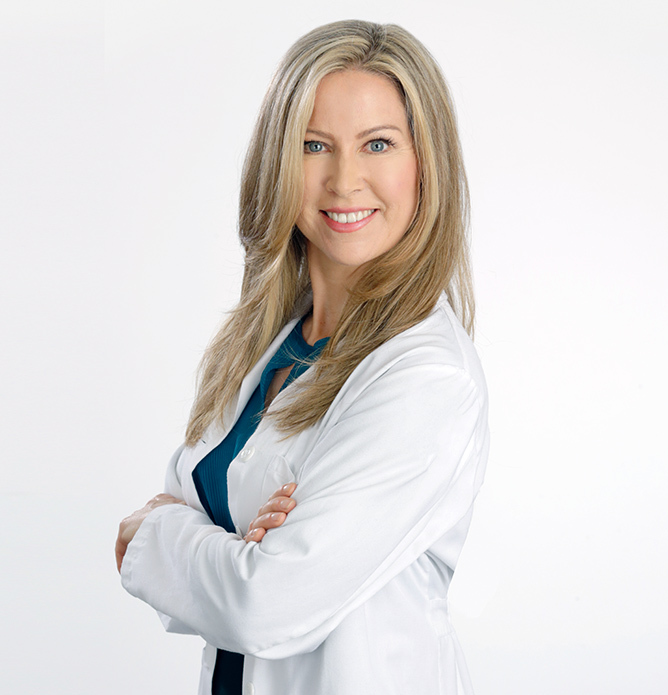 For my patients, I recommend a combination approach in order to get the maximum stimulation of the capacity of your skin to regenerate and thrive by harnessing the natural systems that your body already has. But what is great about the Torche is that there really is something for everyone. From someone who is just starting to see some age-related changes, to the person who wants to really turn back the clock and maintain the results. 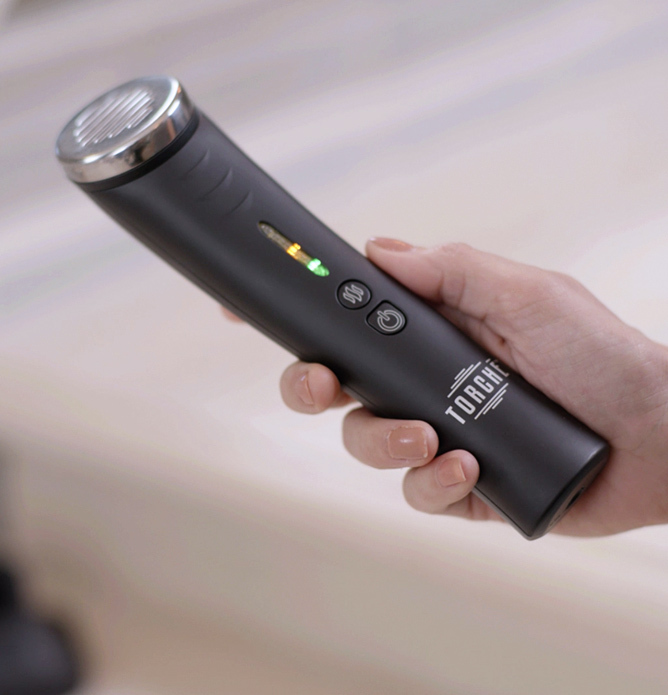 The Torche is really the perfect facial device to get some long-lasting results. We have become a bit enthralled with immediate gratification. Immediate change is not how the body works, and if change is instant, it probably is not as “natural” as we all desire. Using The Torche technology whether in office or at home, requires patience and repetitive treatments. The body has a natural desire to be in balance, and to conserve energy. It really only pays attention and gets its repair and regenerative systems going when the stimulation is repetitive or dramatic. The Torche therapies are inherently gentle and need to be done repetitively. For at home treatments, I give this advice to make doing them a habit. The most successful clients will pair the new “habit” with an old one. My best example is brushing your teeth. If you keep your Torche device by your toothbrush, and link it to when you brush your teeth, soon it will become as second nature in your routine and will be sustainable. In general, I tell my clients to start to see changes in tone and texture of the skin at around week 3. The Torche has a wide range of applications of use in dermatology, stimulation of healing, reduction of inflammation, preservation of older cells and skin cell rejuvenation are desired. Improvement in skin tightness, elasticity and wrinkles along with tone, texture and reduction of disease states hyperpigmentation and psoriasis are all well documented in the research that spans 4 decades. For those who desire no downtime, no discomfort, and a health promoting approach, the Torche is more effective than ever and a very important advancement in the care of aging skin. Whether you use an in-clinic or at home therapy, you are sure to love the results of using the Torche for most of your skin concerns.